Hoang Phuong Vy, a graduate of Hanoi’s University of Architecture and a member of Vietnam’s Fine Art Association, was born in Hanoi in 1962. 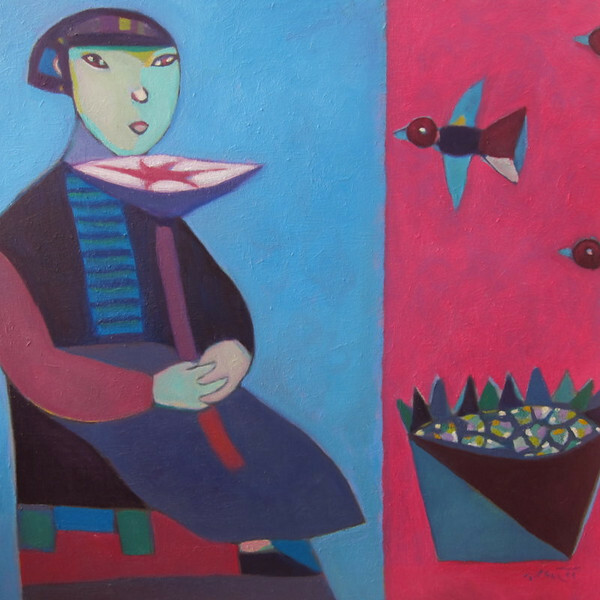 His boldly coloured, minimalist oil paintings are reminiscent of Vietnamese folk art and depict scenes of traditional, everyday life – a market scene, for example, or a beautiful spring day. Hoang Phuong Vy’s work evokes feelings of simplicity, purity and playfulness. He has won several Vietnamese art awards and has had exhibitions in Vietnam, Hong Kong, China, South Korea, Japan and the United States.